Students from Hofstra University will once again be on this year's Red Carpet. 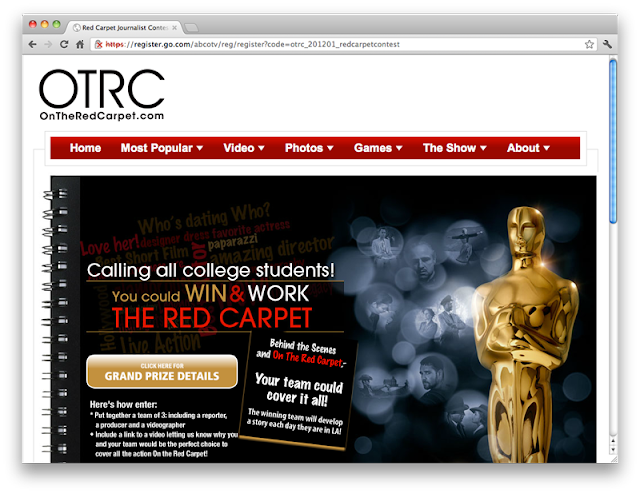 The team of three students from Hofstra University – Jackie De Tore, Beth Lascheverand Melanie Rubin — were selected as this year's winners for the college journalist contest, the Academy and On The Red Carpet (OTRC) announced Thursday. Jackie De Tore, a senior broadcast journalism major, is the on-camera reporter; Beth Laschever, a Video/TV production major, is behind the camera; and Melanie Rubin, a junior Video/TV major, is the producer. The Hofstra team was selected from more than 200 entries. Last year's winning team, Luz Pena and her cameraman Philip Robibero, was also from Hofstra. The Gold Knight recently caught up with Pena. "Wining the Oscar Correspondent Contest helped me broaden my growth as a journalist and as a consequence, opened so many doors in this industry,” she said. Hofstra University, located about 25 miles east of New York City, is the largest private college on Long Island, N.Y. There are more than 7,000 full-time undergraduates enrolled, and more than 12,000 students overall. The winning team will be flown out to Los Angeles to cover Academy Awards pre-events, such as the Animated Feature Symposium, Foreign Language Film Award press event, the Makeup Artists and Hairstylists Symposium and the Governors Ball preview. The winning team will have the exclusive opportunity to work with KABC-TV's OTRC team and report live during the "On The Red Carpet at the Oscars" pre-show (1:30–4 p.m. PT). Other perks include rooms at the Renaissance Hollywood Hotel, $100 for formal wear and/or complimentary tuxedo rental, $50 per day meal allowance, ground transportation to/from all off-site Academy Events and to/from LAX Airport, three seats in the backstage interview room during the telecast and access to the Governors Ball. Four days after the entry deadline closed, the winning team was announced. Two teams were chosen from each of the eight ABC-owned television stations' markets — Chicago, Fresno, Houston, Los Angeles, New York, Philadelphia, Raleigh and San Francisco — for a total of 16 finalist teams. The 16 teams were then judged by an expert panel of Academy and KABC-TV employees to determine the winning team. Judging criteria was as follows: 50 percent for skill as journalists and 50 percent for ability to professionally represent OTRC at the Academy Awards. 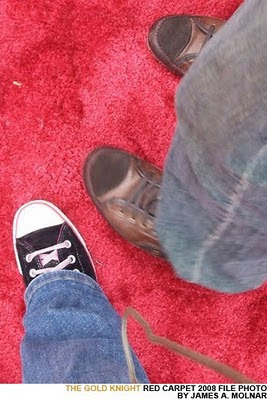 OnTheRedCarpet.com is a subsidiary of ABC. The website was launched in March 2012 in conjunction with the debut of "On The Red Carpet," a show produced by KABC-TV in Los Angeles. The show airs mostly on the Live Well Network, a home, health and lifestyle subchannel network owned by Disney-ABC Television Group. It is available in more 60 percent of the U.S., according to the network's website.